This past season, Cory Horner put together an incredible campaign, including a pair of feature victories en route to placing fourth in the year-end OSCAAR Modified standings. As part of the Catching up with…. series, Horner spoke about the year and more. SHORT TRACK MUSINGS: You recently got the chance to go run the Turkey Derby in New Jersey. How was that experience? CORY HORNER: Going down to the Wall Township New Jersey to race their annual Turkey Derby was an amazing experience I will never forget despite struggling a little bit. It brought me to a whole new world of modified racing and made me fall even more in love with modified racing, and I will continue to go there year after year in hopes of one day winning that big event. STM: What are your thoughts reflecting back on 2017? CH: Looking back on 2017, I feel it was a pretty good season. (From) winning my first career feature in an OSCAAR modified and again getting my first ever hat trick when I won my second feature a couple of weeks later at Sauble Speedway, (to) leading the points for a short period of time. There was a lot of firsts for me this season but I also know there were some mistakes along the way that I would like to improve on so we can possibly win a few more features and make a better run at the championship. We fell behind with just three races left and were not really able to rebound from that. STM: What was it like being able to break through for your first career win? CH: It was a huge weight off my back as I was getting tired of finishing second and starting to question whether or not I would ever win one. Getting that feature win gave me a lot of confidence moving forward and made me want to work even harder to win more. STM: What are your thoughts looking toward 2018? CH: Looking forward towards 2018, I would like to improve on 2017, possibly winning a few more races and possibly my first ever championship. But in saying that, I know my budget at times can be tough and making every race is not always an option for me so to continue finishing every race and making it out every night would be a success for me as well. I hope to travel more to the US to race different tracks I have never been to before. STM: Out of the tracks that OSCAAR visits, what is your favourite? CH: Picking a favourite track for me is tough as my favourite track Barrie Speedway is no longer around. But growing up around Peterborough Speedway, I have grown to love the high speeds you get around that track in our modifieds. But I would have to say that Sunset Speedway is the best two-groove track we get to race on as I love racing two wide just inches from the wall. CH: I became interested in racing when i was 13 almost 14 after watching my uncle Dave race super late models and when he began building a thunder car for my cousin Jamie, I immediately wanted one of my own. At the time I did not know much about racing but it was something my dad had always loved so I used the money I had saved to buy my first ever chevette, and me and my dad began stripping it down to build into my first mini stock. Despite my childhood anxiety and not even being able to go for a car ride, my dad and uncle helped me anyway even though we all knew there was a chance I may never race it. If it was not for there help and support, I would not be racing today. STM: What’s your most memorable moment in racing? CH: My most memorable moment in racing was when I was 14. 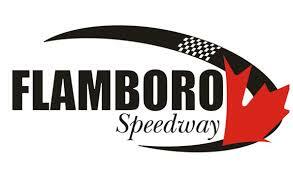 After racing just a couple of times at Peterborough Speedway, me and my dad decided to go to Barrie Speedway for a mini stock invitational. I would qualify 36th out of 36 cars, and finish 16th without passing a single car. From there, me and my dad fell in love with Barrie Speedway and we continued racing there for three years as they always had the most cars having to qualify thru the b main for most features and always had a packed house.